So here’s the breaking NEWS! And what perfect timing to announce this, at a social media conference! I got an iPad for my birthday in April and I’ll be presenting my first Keynote presentation using only mobile devices tomorrow, iPhone and iPad, instead of my old konked out MacBook Pro. (Dear WIFI and technology please be on my side at the Victoria Confernece Centre please). 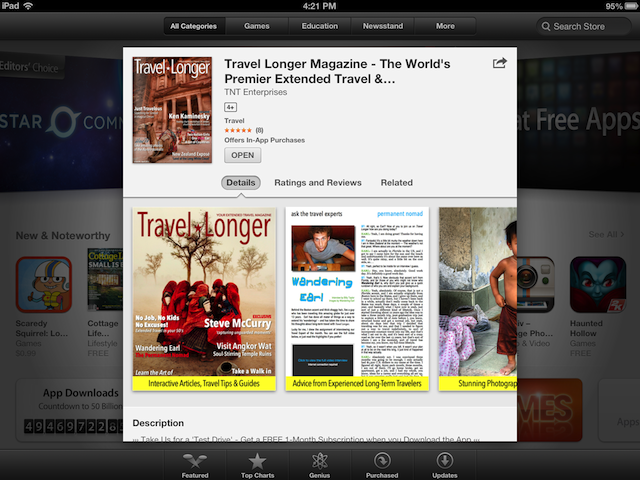 Here is the NEWS: (use “johima” as your code) I will be featured in the JUNE 2013 issue of Travel Longer iPad Magazine as an iPhone photographer! Use your code before May 8th at 12 AM Midnight please, as it is a conference special, but anyone can take advantage of it. 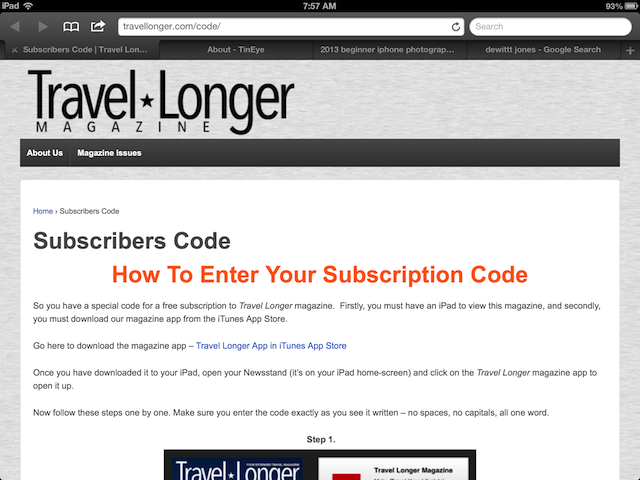 If you are reading this now you are in for a treat at Social Media Camp, because everyone who attends the conference gets a FREE 3-month subscription to Travel Longer iPad Magazine. I’m featured in the JUNE 2013 as the iPhone photographer, and I’ve also got an article coming in the JUNE issue as well. So you’ll get to read my JUNE article … and also stay tuned because we have a SPECIAL BONUS that will be announced soon, all for iPhone photographers who want some tips on using their camera phone during travel. There is some beautiful photography in this magazine, great travel tips and articles, and I’ll be featured along with , and Billy from Travel Longer says “I’m in good company” and if you look at her website, I am sure you would agree. I’m incredibly honored and excited to be featured in my first ever iPad magazine, which currently is sitting at #8 in the U.S. and I have a feeling it’s just going to keep climbing up and up.